NYC, 05/16/2019, 3:00PM. Creed II (2018): Rocky Balboa Trains Apollo Creed's Son. 130 min. Director: Steven Caple Jr. 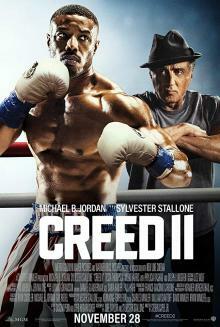 The movie is a sequel to Creed (2015) and the eighth installment in the Rocky film series.